One of the easiest ways to ruin a relationship with a person is to borrow or lend money and then not get that money back or not give that money back. And you can have all of the good intentions in the world, but as soon someone doesn’t fulfill their end of the bargain, the connection between people and businesses can go sour very quickly. So it’s important to understand how money and trust can work together in tandem. You need to know the basics of fiduciary duty, why credit card use involves trust, how verbal and written contracts respecting money work, and why the expectation of results is so important in financial transactions where trust is involved. There’s a concept called fiduciary duty. Essentially, if one person trusts another person to act in their financial best interest, there is an obligation present. Especially if it’s professional relationship, the person in charge of finances is expected to do everything possible to create the best opportunities for financial gain for the client or even for the friend or family member. If the actions of a person under this financial arrangement do not appear to be in the best interest of a person, there is a possibility to sue for a breach of fiduciary duty. If you think broadly about it, credit card use has a lot to do with trust as well. If you have a credit card and give that card to a cashier at a store, you’re spending money that you don’t necessarily have. The trust involved is that you will pay that money to the credit card company to zero out your debt. The reason the credit cards have variable interest rates is that different people have varying amounts of trust that they fulfill with the schedule that they repay their debts. There’s also the matter of verbal and written contracts when money is involved. If someone says to another person in a private conversation that they want to borrow $100 and they’ll pay it back in a few weeks, there’s a certain amount of official trust that goes into that arrangement. It’s always better to have things in writing so that a third party can validate it, but there are legal implications for verbal agreements as well. In the end, money and trust work together if there is a shared expectation of results. As long as these expectations are talked about in advance of financial transfer and consequences for failure and success are both parts of the deal, there shouldn’t be any significant drama in the natural course of events. Relationships between businesses and people can be broken up by stress about money if expectations are not understood mutually. Author: Diane BoginoMs. Bogino is only one of a small number of people in the United States who is a Certified Growth Curve Strategist. She is also a Behavior Scientist and entrepreneur. Ms. Bogino works with CEOs to help them get to the root of a problem, identify it and then resolve it in order to help improve productivity, performance and profitability. With her 20+ years in human resources and as co-founder of two of Atlanta’s most highly successful Italian restaurants, Provino’s and Scalini’s, Diane understands the challenges, hidden agents and the importance of identifying critical initiatives in each stage of an organization’s growth. Diane’s expertise has been gained working with and within the following industries: associations, banking, education, executive recruiting, food and beverage, government agencies, hospitality, manufacturing, medicine, pest control, training, printing and retail. Ms. Bogino is the author of five books. In a “former life,” Diane was an actress and model. She played a doctor in a movie, appeared in numerous commercials. She also did voice overs, print and runway modeling. At one time she was “Daffey Diane,” (some say she still is! ), a magic clown. She also performed magic as herself winning Magician of the Year for Greater Atlanta. Diane holds a Masters in Industrial Organizational Psychology (I/O) and a BS in Psychology. 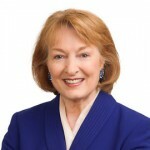 She is a Certified Growth Curve Strategist (CGCS), Behavioral Scientist, Registered Corporate Coach (RCC), Leaders Coaching Leaders Coach (LCL) and facilitator; Professional Behavioral Analyst (CPBA) (DISC Certified); Certified Motivators Analyst (CPMA); Certified TriMetrix HD (CPHD), Certified EQ Analyst (CPEQA), certified Master Trainer, and Instructional Designer/Developer.